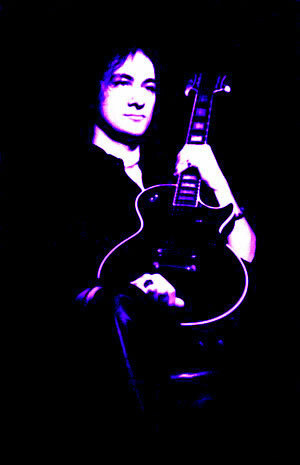 British guitarist/producer/composer Rob Nicholas has been making music for over three decades now. His strong sense of harmony and resourceful melodic phrasing make him one of the most sought-after musicians around. His style has been described as blending the virtuosity of John Sykes with the down-to-earth sensibility of Dave Gilmour and, it's an apt description as both have been influential in Rob's development as an artist. In addition to his songwriting, composing and production skills, Rob Nicholas' concerts are quite unique. He is able to bring an energy and groove to his music that most bands can only aspire to. He has toured extensively all over of the United Kingdom, Europe (Holland, Belgium, Ireland, Sweden and Austria) and the USA. His performing experiences range from working with such notables as the legendary Thin Lizzy to Brian Robertson (Motorhead, Frankie Miller), Paul DiAnno (Iron Maiden) and Limehouse Lizzy to appearances on TV and Radio. Rob is currently involved in the musical adaptation of the play "Jedermann" by the Austrian playwright Hugo von Hofmannsthal, which has been performed annually at the Salzburg Festival (Festspiele) since 1920. 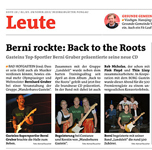 He is also part of the creative team (Klaus Sauli/Rob Nicholas) that wrote, performed and produced "Landsleid featuring Berni Gruber: Back To The Roots" for the athlete Olympic/World Champion Bernhard Gruber. The resulting band that came out of this project is called Landsleid where Rob is one of the major contributors.